Legacy is an incredible thing to have in your back pocket; and when you’re from Grambling, there’s no shortage of it. When your reputation includes legends like Eddie G. Robinson creating the “Black Notre Dame” of football and Prez turning 17 instruments from the Sears catalog into a world-famed band, anytime you enter a room you’ve got something working for you. And, that something is powerful. It’s so powerful that it opens doors all the way from Apple’s headquarters to the SuperBowl. It can also activate supporters from across the country to Bring it Home and send more than $1 million back to the Piney Hills. Grambling State University is an example of what a great, hard-earned legacy can do. Legacy, however, can also create its own challenges. One of those challenges presents itself in having to run two races: the heavy charge to uphold our legacy and the journey to capture the very real opportunities that are just ahead. I believe those words weren’t just for me. At Grambling State, these words are helping shape our leadership efforts. We are committed to running both of our “races” with excellence. To help us, we’re leaning on the work of W. Chan Kim and Renee Mauborgne and their book Blue Ocean Strategy. The Blue Ocean Strategy concept is a powerful one for us, because we realize that we were founded on a similar philosophy. Simply, a Blue Ocean Strategy focuses on reaching your full potential through intentionally setting yourself apart from your competition. President RWE Jones was intentional when he sought out Eddie G. Robinson. Dr. Joseph B. Johnson was intentional when he pursued the history-making consent decree. For generations, we Gramblinites have been growing a legacy by looking beyond what someone thought we “should be” or “should do;” and pushing forward to our full potential and success. And, what does that “push” look like today? Well, take a second to imagine with me. Let’s think about the world beyond Grambling where many of our graduates will live and work. When we get to the year 2030, what kind of jobs do you think we will see? What employers will be making the world-changing solutions that grow our economy? And, what tools do we think that workforce will need? In the UL System, we are already strategizing around these questions. At Grambling State, we are already hard at work on the answers. From the progress toward Louisiana’s first bachelor’s degree in Cybersecurity to partnering with the New Louisiana Angel Fund to empower entrepreneurs, we are working on the next installment of our legacy. Many of you have known me for years; and you know, I’ve always been proud to be from Grambling. And, at this stage of my life, things are getting even better because I get to share a new part of helping our legacy grow. I’m seeing our students intern and help build robots that make the workplace safer. I’m watching them win the chances of a lifetime to be acknowledged by stars like Beyoncé. As I enter this third year as president, I can truly say it’s a privilege to serve Grambling State. I am fortunate to be a part of a team of students, faculty, and staff who are committed to making sure our legacy powers us to realize a new level of success. To all of my “GramFam” and everyone who supports us, thank you for the privilege and opportunity. 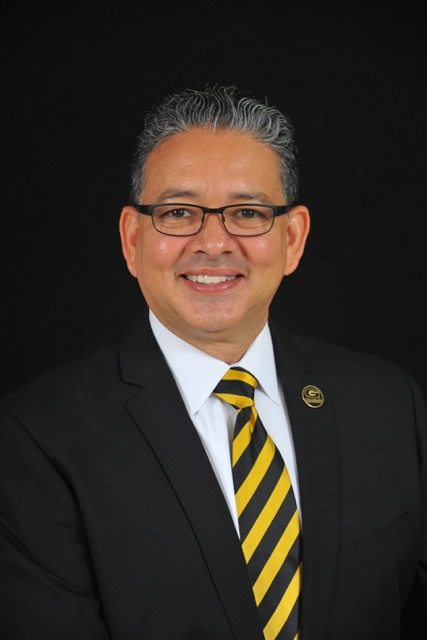 RALEIGH, NC (November 9, 2017 ) – Grambling State University President Rick Gallot was recognized today with the HBCUGrow LEAD award for “Best Leadership” at the group’s 2017 annual LEAD Conference. Gallot, who was nominated in his first year as the institution’s 10thpresident, was recognized for his energetic, student-centered approach to leadership and the university’s growing list of recent accomplishments, including record enrollment and a recent $1.2 million raised from alumni and donors in just four months. In addition to enrollment progress and fundraising, under Gallot’s leadership, the university has seen a new nursing program approved by the state, new funds secured to start progress on a cutting-edge library project and an additional $2 million in federal grants and contract funding. The Best Leadership award is given to an active president of a historically black college and university at the HBCUGrow Lead Conference, one of the country’s fastest-growing university leadership training events. In addition, Grambling State was also recognized as 2017 winner in the Innovation category, recognizing forward-thinking solutions in campus experience, technology and university programming. 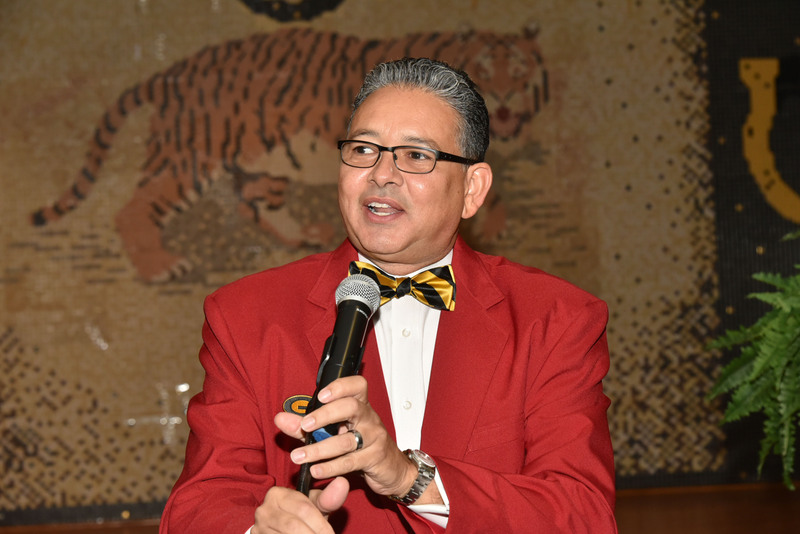 Grambling State University (GSU) is a place “where everybody is somebody,” and the current university president Rick Gallot is on a mission to ensure every matriculating student there knows it. In July of this year, the university embarked on a million dollar initiative to raise $1M by homecoming through their Bring it Home Campaign, which is a partnership between GSU, GSU Foundation, Inc. and GSU National Alumni Association. The funds were raised by alumni, students, faculty and business partners from all over the nation. “Just the kick-off alone took us over $300K just that first day,” Gallot told a local news station. And the university well exceeded its goal. During halftime of the homecoming game, president Gallot presented a check for $1.2M, beating their original goal by $200K. The funds raised will go towards institutional growth and the execution of the university’s mission, including student scholarships, university stability, faculty support, balancing the budget, and athletic facility improvements. Before the homecoming festivities, Gallot visited Detroit to talk with some of their professional and community leaders and to also garner support for the Bring It Home Campaign. There, he met with automotive giants such as Ford Motor Company and General Motors, as well as other important businesses and organizations. Gallot also connected with the Detroit Alumni chapter, who presented him with a $10K check towards the campaign from the chapter. While there, rolling out got the exclusive chance to talk with Gallot about his trip to Detroit, some of the university’s goals, and his future vision for the university. What is your administration’s vision and forecast for Grambling State University? Well, first of all we’ve set a five year goal of increasing our enrollment to 6K. This year we increased our enrollment by 7%, so we’re certainly on track to be able to achieve that goal. But not only to increase the number of students, but the quality as well. One of the things we see in our students this year, with incoming freshman, is an increase in composite ACT scores. So, we’re certainly excited about that as well. We’re adding additional programs, we’re adding a program in cyber security, data analytics big data, and we’re also adding a PhD program in criminology in social justice, that will be an extension of our existing criminal justice program that we’re currently offering, a bachelors and a masters. Those are just a few of the things that we’re looking to do to get bigger and better. What is your goal/intended outcome with your meeting with Detroit-based professional and community leaders this weekend? Well, the first thing of course was to connect with our alumni base. No university can be successful without the support of the alumni. So, that was the first order of business: to be able to connect with alums in this Detroit area. And certainly we feel that that’s been very successful. But, in addition to that, we’re trying to reconnect with many of the corporate partners that we have historically endured a good relationship with and that is Ford and GM in particular that we met with on this trip. As we’ve gone around the country, meeting with alumni groups, we’ve had similar type meetings and what we’re doing is reconnecting with many organizations that we’ve previously had relationships with so that we can begin to have students take any internships with and employment opportunities and other things as well. What was your most impressive find while here in the new Detroit? How does it tie into your educational vision for educational achievement at GSU? It’s pretty fascinating to see the transformation in Detroit, in downtown in particular. That was pretty amazing to see, just seeing all the economic development, all of the housing development is shifting. So, just seeing all of that growth, is something that’s very exciting. And again, we want to provide part of the workforce that will be operating in this area. We probably have close to 100 students from Michigan right now at Grambling. So, we want to arm them with good education so they can come back and be community leaders and business leaders here in Detroit. How can GSU alumni, in Detroit and beyond, better impact the sustainability and progression of the university? It’s often said that athletics and in particular football, is the front porch to the institution. So, one of the things that we’re looking to do is to have our football team come up and play here in Detroit. And typically what we do is we will wrap recruiting and other things around the football games. We were [recently] in Chicago and so we recruited not only in high schools, but also at Malcolm X Community College there in Chicago. We want to do the same thing here in Detroit. Not only are we recruiting high school students, but also community college students who might transfer and faculty at the respective schools who might want to further their education online with either a Masters, or a PHd or an evening program and developmental education. We always want to wrap those kind of activities around athletic events and again, that’s one of the many things we love to do in reconnecting with Detroit. Do you have plans to return in the near future? Absolutely. Certainly, we will be coming back and following up with some of the initial meetings that we’ve had here. RUSTON – For about a decade Grambling State University and United Way have partnered to better the communities in Northeast Louisiana through fundraising projects. They’ve joined with Monster Moto in Ruston to enhance it. Monster Moto donated one of its classic B80CC bikes that GSU will be entering into its raffle. Efforts such as this are what President Rick Gallot says GSU is all about. “We find that our partnerships are what make us Grambling State University who we are and what we are. So to have the opportunity to not only partner with United Way once again but to have a new partner in Monster Moto is just a great day,” says President Gallot. The drawing for the mini bike will be Monday November 13, 2017. In higher education, every university’s history includes the gift of a few iconic leaders whose work and service grow the very fabric and trajectory of the institution. Dr. Joseph B. Johnson, the third president of Grambling State University, was uncontestably one of our legacy’s greatest gifts. My GSU president and fellow member of Kappa Alpha Psi’s Gamma Psi chapter, Dr. Johnson will forever be remembered as a bold and progressive leader. Never afraid to speak his mind or challenge the status quo, he helped elevate our University to one of America’s most influential and recognized African American institutions. His voice and contributions created impact that will be felt for generations to come. From his conversations with students under our “tree of knowledge” to his Whitehouse visits with various presidents, his presence helped create the change our university, nation, and world needed to see. He and his administration’s tireless work on legacy-changing efforts included preparing the Consent Decree, which brought millions of dollars to GSU; establishing key academic programs including our School of Nursing, MBA program, and top-ranked computer science programs; and establishing GSU’s Earl Lester Cole Honors College and our doctoral program in developmental education. Our first alumni president and the first Kappa president of GSU, Dr. Johnson will be remembered for the way he used his Grambling love to grow our University’s place in history. He invested in our community, campus, and a long list of GSU alumni who have followed in his footsteps in shaping our world and education. Grambling State University will be forever indebted to President Johnson. He was a fighter, a warrior and one of the voices who made sure our institution never settled for ordinary. It was an honor to call him President, mentor, and advisor. I know I speak for all in our GSU family when I say he will always be remembered and deeply missed. Christy and I send our prayers and condolences to the Johnson family during this difficult time. This entry was posted in Uncategorized on December 30, 2017 by admin. I am sad to confirm what many of you know, that early this morning we lost one of our Grambling State University students, Earl Andrews, and a visitor to the campus, Monquiarious Caldwell. We offer our deepest condolences to their families. We are working with authorities to do all that we can to ensure your safety on campus, our first priority. The event that occurred was an isolated incident. The campus is open for standard hours today, and the university Comprehensive Counseling Center in the Foster-Johnson Health Center is open and available for students, faculty and staff. Please call (318) 274-3277, or after hours, call (318) 274-2222. There will be a student-led prayer vigil “on the yard” near Favrot Student Union at 5:00 p.m. today. This morning I have been in constant contact with our university leaders, state and local police, and our governor, John Bel Edwards, to make sure we are well resourced to keep our campus community safe and help us recover from this event. For anyone who has details related to this morning’s event, we encourage you to contact the Lincoln Parish Sheriff’s Office at (318) 548-3160. Your name and information can remain anonymous. After consultation with GSU Student Government Association leadership, we will proceed with our academic and event schedules as planned in the coming week, including all homecoming events. You will see increased police and security this week, and we ask that you be patient with any related delays. Our students, their parents, faculty, staff, and alumni are our first priority. In the coming weeks, we will work with you to get your input on how we can maintain and enhance campus safety. In the meantime, I ask that you do what we as the “GramFam” have always done: look out for one another. Alert an authority if you see anything suspicious or find yourself in a situation where someone’s safety is in jeopardy. Always remember that this is our university and it’s our collective responsibility to ensure the safety and security of the campus community. You may also follow the official university social media outlets at @Grambling1901 for updated information. Richard J. Gallot, Jr., J.D. Support reinstating the undergraduate nursing program at Grambling State University. Grambling State University’s undergraduate nursing program is on the Feb. 23rd University of Louisiana System (ULS) Board of Supervisors meeting agenda. This is the first step of GSU President Rick Gallot’s effort to reinstate the program by fall 2018. In preparation for the meeting, President Rick Gallot is compiling a ‘nursing support package’, and is asking Grambling State University alumni, faculty, staff, students, supporters and stakeholders to email letters in support of reinstating the institution’s undergraduate nursing program to him at gsunursing@gram.edu by Tuesday, Feb. 21st. President Gallot asks that supporters share this post and use the #GSUNursing hashtag on social media through Feb. 21st. This entry was posted in Uncategorized on February 16, 2017 by admin. “We are very polarized now,” says Gallot, who spent 15 years serving in the Louisiana State Legislature working with two Republican governors during his terms in the state House and Senate. “It’s going to take members of state legislatures and Congress to do their jobs,” he says, having worked with politicians whose personalities have run the gamut. STATEMENT FROM PRESIDENT RICK J. GALLOT REGARDING UL SYSTEM BOARD MEMBER JIMMY D. LONG SR.
We are all deeply saddened by the passing of Mr. Jimmy D. Long Sr. His 32- year tenure in the Louisiana legislature and lifelong commitment to higher education are legendary examples of service to our beloved state. He was an icon in every sense of the word. The Grambling State University family and I offer our heartfelt condolences to Ms. Dot, Jimmy Long Jr, and Mr. Long’s family, friends and colleagues. He will truly be missed. 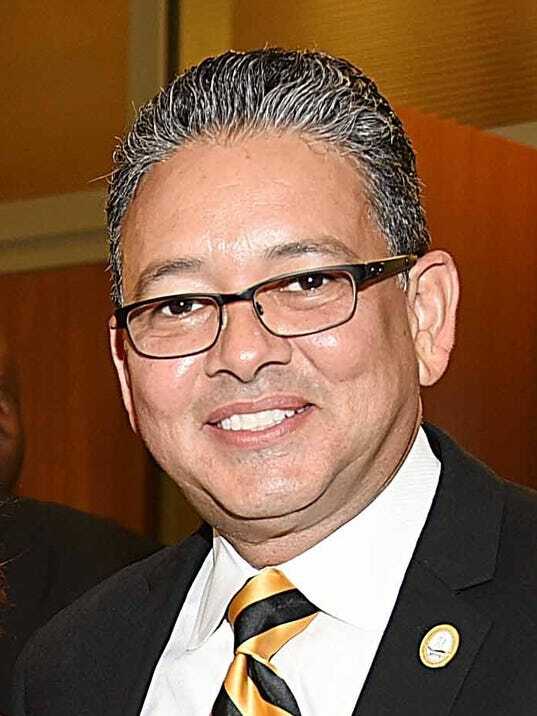 Editor’s note: Rick Gallot was appointed by the University of Louisiana System Board of Supervisors as the 10th president of Grambling State University on July 26. Gallot is a graduate of GSU and Southern University’s law school and attended the John F. Kennedy School of Government at Harvard University. Gallot is a former Grambling city council member, state representative and state senator. He lives in Grambling and plans to start as president Monday. Grambling State University is The Place Where Everybody is Somebody, and I am grateful to GSU for preparing me for a time such as this. I had offers to attend other universities, including Dartmouth, an Ivy League school. However, knew I wanted to go to law school and fulfill a childhood dream of being a member of the Grambling State University World Famed Tiger Marching Band. GSU was my choice. As the incoming GSU president, I am humbled and I am grateful to the University of Louisiana System Board of Supervisors and Interim ULS President Dan Reneau for the trust they have put in me. I was not thinking about being a politician or a college president when I walked the campus as a student. A lot has happened since I was a student Tiger. I’ve known – and supported – each GSU president since I met and got to know President Ralph Waldo Emerson Jones as a kid. Jones was our much beloved second president, serving after founder Charles Adams. We all knew him as “Prez,” and he was our president from 1936 until 1977. Like Prez, I want to be a long-serving Grambling State University Tiger-in-Chief. First and foremost, Grambling State University is an academic institution. Without a strong academic foundation at GSU, I would not have become as successful as I have been as an attorney or as a legislator. That academic foundation will help me be successful as president. My lifelong roots in the Grambling community, combined with my record of serving our university and community give me a head start in my new job. As an attorney based in Ruston, a Grambling city councilman, state representative and state senator, I have the community, government and leadership the institution needs at this critical time. The core GSU brand remains strong. People know and respect Grambling State University, largely because of our football legacy with the internationally famous Eddie G. Robinson and our fabulous marching band. We are not going to run away from something that makes us strong, and better. We will build on that foundation, emphasis our academic strengths and shore up areas where we are weak. Higher education in Louisiana faces challenges unlike any time in our past. The relationships I’ve built over the past 15 years with the Gov. John Bel Edwards, the legislature, congressional leaders and the corporate sector will serve Grambling State University well. What might be most in my favor, and to the university’s benefit, is that I know the Grambling community and the community knows me. My wife, Christy, joined me when I interviewed for the job with the ULS board in Baton Rouge on Tuesday. Like me, Christy is a Grambling State University graduate. Both my parents are Grambling graduates. The four of us are life members of the Grambling University National Alumni Association. Throughout my years of public service, I have developed a skill set and reputation for being a consensus and coalition builder. I will engage all of our various stakeholders to harness our energy, ideas, love and commitment to our university. Our focus on recruitment, retention and graduation must be unlike any other time in our history. Our students must know that they are our number one priority. My record of service to our university has been visible. During my years of service in the legislature, capital improvements totaled more than $100 million. The Eddie Robinson Museum, Fred Hobdy Assembly Center, Conrad Hutchinson Performing Arts Center, campus wide student housing replacement, and Tiger Express, the campus food court, are a few of the state budget, capital outlay and third-party financing projects I have been directly or indirectly involved with seeing through to fruition. I got my academic foundation at Grambling State, and we will strengthen our academic offerings and standing. My school, our school, needs a leader, a smart, savvy, down-to-earth, roll-up-his-sleeves and get-to-work-on-the-first-day leader. I am that leader, and I’m ready to get to work to make the place Where Everybody is Somebody even better. Let’s get to work. This entry was posted in Uncategorized on August 1, 2016 by admin.